Now that we are well into the summer one of my main concerns about this time of year is skin damage from the sun. Children are at risk from sun exposure with softer and in D's case more sensitive skin. Giving children the right protection is important for their health. I always want D to have sun cream on to protect him. I on the other hand need SPF more than anything else and actually went search for sun protection with a factor above 50. 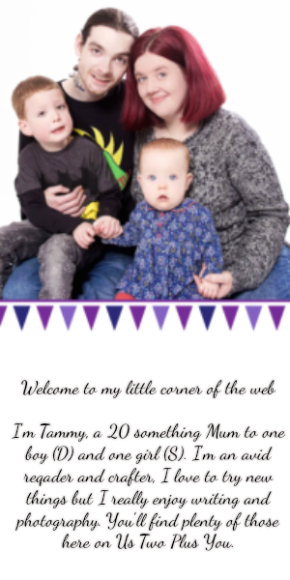 It turns out there aren't many products out there but I did come across the Childs Farm Sun Cream and decided to get in touch with them about it. I was surprised when they got back to me and said we could review their Sun Care Range! 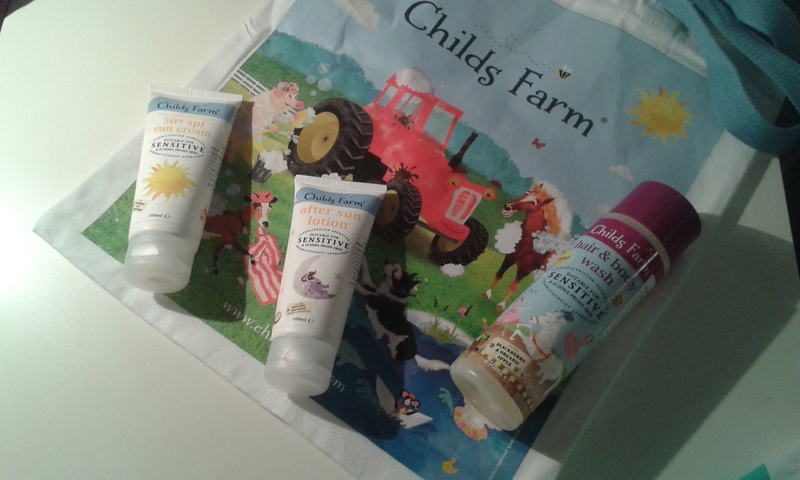 Childs Farm is a British brand which aimed to create safe, kind to skin bath products for children all over the UK. They want every child to be able to enjoy their products. Creating products using essential oils and all natural products mean even children with eczema are able to jump in the bath with their siblings and enjoy the same toiletries! No need for parents to spend time and money on all those extra products for different children. Childs Farm products are all dermatologist approved as well as being approved by pediatricians too so you know the quality you'll get before you even open a bottle. All the Childs Farm products also have the Happy Skin Promise which is that they are suitable for children aged 6 months and above, while being made to suit the unique needs of children and babies hair and skin.All their products are free from parabens, SLS, artificial colours and mineral oils. They also contain 98% naturally derived products. With Childs Farm you know you are getting products that won't damage you child's beautiful skin. I was surprised when we received the package in the post and opened it to find this cute little bag and also a bottle of their hair and body wash to try along with their Sun Cream and After Sun. The perfect holiday kit! Childs Farm have just launched their new Blackberry and Organic Apple Hair and Body wash which we received with the Sun Care range. We stated using the Childs Farm hair and body wash straight away in the bath. It smells incredible and I loved that it lathered up so well when rubbed on the skin. I could tell straight away when using it on D just how little I needed to use to get D completely clean and knowing that there was no added ingredients that would have adverse effects on his skin made bath time much more enjoyable. We have used other hair and body products before that claim to be friendly to sensitive skin and have made D's skin dry and also caused little rashes! There was no worries with Childs Farm and having the funky cartoon on the bottle got D interested in wanting to look at the bottle before he put it on his hands to get washed. They also have the cartoon on TV. You can watch it on Cartoonito every weekend. We have been trying to get D involved in the washing process in the bath and I do think that the Childs Farm Hair and Body wash gave him a little push to really pay attention when he is getting washed. The bubbles it created also helped! I popped the Childs Farm Sun Cream and Childs Farm After Sun in a plastic bag ready for the airport before we left. Both products contain 100ml which means they are just perfect when your going on a quick holiday without check in luggage! I was able to carry both straight on to the plane with no issues at all. I knew that we would use the sun cream daily during our week away as even though we stayed in the UK it was hotter and the sun was stronger at the southern coast of England compared to Northern Ireland. Plus I get sun burn at home anyway! I am sure many of you have read about the products you should be avoiding when it comes to sun care. I know I've seen posts and information about all the horrible man-made ingredients that some sun care ranges can include and why we shouldn't use them. Some of those ingredients can actually tell our skin to open up our pores and let in all the nasty bacteria and rays in that we are trying so hard to keep out. There's even one which shouldn't be mixed with the rays from the sun! 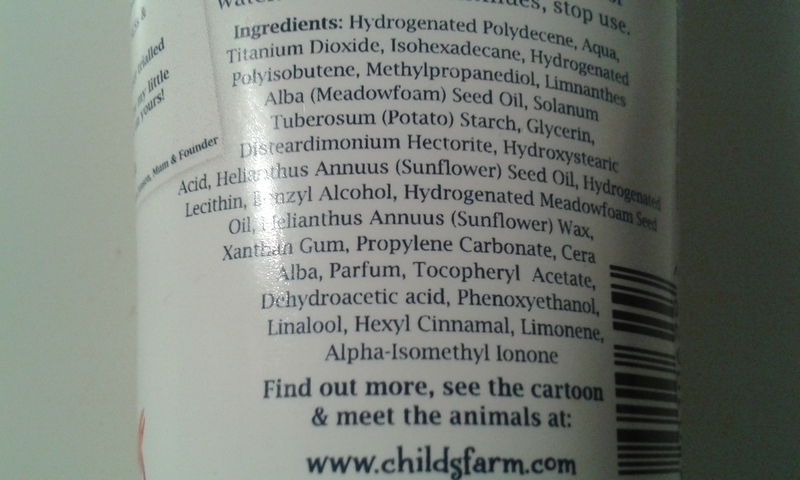 Childs Farm Sun Cream contain none of those ingredients, not one. The Childs Farm Sun cream not only protects against the UVA rays from the sun but also provides protection from the UVB rays too and it's water-resistant making it perfect for those days in the pool or at the beach when children are always in and out of the water. The sun cream has an SPF rating of 66.8! Isn't that incredible? The protection it provides has also been marked with an EU rating of 'Superior'. The Sun Cream has a nice smell and I am not entirely sure what it smells of but it isn't the usual smell I associate with sun creams which is always quite strong. To me it smells slightly like baby lotion ( I love the smell of baby lotion! )mixed with sun cream. What ever the smells it it's lovely. When it came to applying the Sun Cream for the first time I liked the texture when I was rubbing it on. t was smooth and felt soft once it had been applied to D's skin. I liked that you could tell where the sun cream had been applied in two ways. The first was that the sun cream changes the colour of the skin slightly when applied and creates a layer of sheen that lightens the areas where it is applied. The other way is the feel of the skin where the sun cream is applied will stay softer than your actual skin so running your hand along the area will tell you if you have missed a spot! I found this invaluable while we where at the beach as the sun was quite strong. I was able to feel D's skin after applying the sun cream and see if I had missed a spot that I couldn't see in the sun. The After Sun from Childs Farm contains Aloe Vera to help aid the healing process. Among other natural ingredients to help skin heal from any kind of outdoor wear. You don't need to have been exposed to just sun but the wind too can irritate the skin. Childs Farm After Sun can be used to soothe the skin after both sun and wind exposure. I did use it and I must say the coconut smell is amazing! You can feel the after sun soothing the skin straight away. There's no waiting until your skin absorbs the after sun and even though I did only burn a little at the shoulders when I forgot to reapply the sun cream to myself. I found that I had only needed the one application of Childs Farm After Sun that night before bed. I don't think I have ever had an after sun that worked that well. Maybe the one time my Granny applied Aloe Vera from her plant directly to my skin! We will also be using our lovely bag the next time we go to the leisure centre for a swim. I forgot to add it to our suitcase before we left. D has beenusing it to carry his trains up and down the stairs daily though! I think that the Childs Farm Sun Care Range is by far the best range we have ever used when it comes to Sun care. I have never found a sun cream that actually protects D as much as this one as well as being so easy to apply. 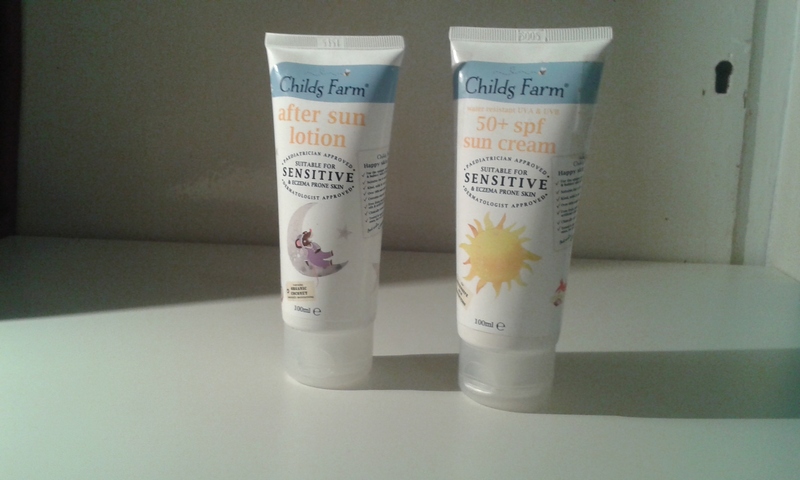 Although the Childs Farm Sun Care range is made for children I did use it alongside D while we were gone. All of the products are well made and are perfect for all children. They're even perfect for adults who struggle with products for sensitive skin during the summer or all year round or those that need the extra protection from the sun and it's rays. I know that Childs Farm is now going to be our go to for sun care in the future. It is slightly more expensive than our previous sun cream but the added benefits and knowing how well it works makes it worth it. Plus for using the sun cream every day for over a week now we have only used about 1/4 of the tube for both of us which is pretty good going when I was applying it a few times a day. You can purchase the Sun Cream (RRP £10.99), After Sun (RRP £4.99) and Hair and Body wash (RRP £3.99) from Childs Farm on their website using the links above. The Sun Care range is currently on saleat the time of posting.